This modern hotel is strategically placed on the M25 and the A1. It offers a convenient setting from which to explore the area. Wembley Studios and the Arena are just 21 km away. Elstree Film Studios are 6 km away. The property welcomes business and leisure travellers, offering a high-quality service. Superbly-styled guest rooms offer a peaceful space, perfectly conducive to work and rest. Conference facilities are available for the convenience of business travellers. Guests are invited to dine in style in the elegant surroundings of the restaurant. Excellent facilities and services are available to ensure that guests' individual requirements are fully attended to. Beautifully situated in Hertfordshire, this charming hotel enjoys a convenient location, making it the ideal setting for travellers who are eager to explore the delights the area has to offer. Guests will find themselves within easy access of the Leavesden Studios, home of the Harry Potter Movie, The Palace Theatre, Harlequin Shopping Centre and the Watford Football Club. Guests are welcomed into a world of contemporary style and rustic charm. The guest rooms are superbly decorated, featuring refreshing tones for a relaxing atmosphere. The rooms come complete with modern amenities for guests' comfort and convenience. 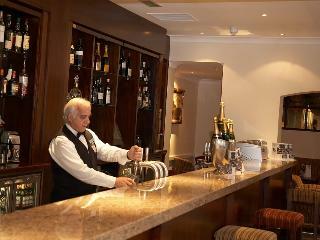 The hotel provides guests with access to a selection of excellent facilities for a truly relaxing stay. This welcoming hotel enjoys close proximity to major routes in the area, including the M1, A1M and M25. London city can be found just a 20 minutes' driving distance away. Nearby links to the public transport network offer convenience. Many shopping, dining and entertainment opportunities can be found close to the hotel. This property appeals to business and leisure travellers alike. Guests rooms come well equipped with modern amenities, for added convenience. 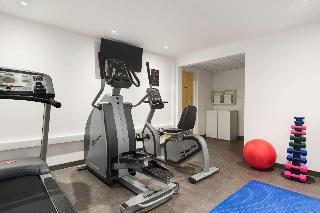 Guests are afforded complimentary gym access in the local leisure centre. This property features sprawling grounds, as well as spaces for weddings and corporate events. Beautiful hotel and grounds. Excellent food. All staff polite and professional.